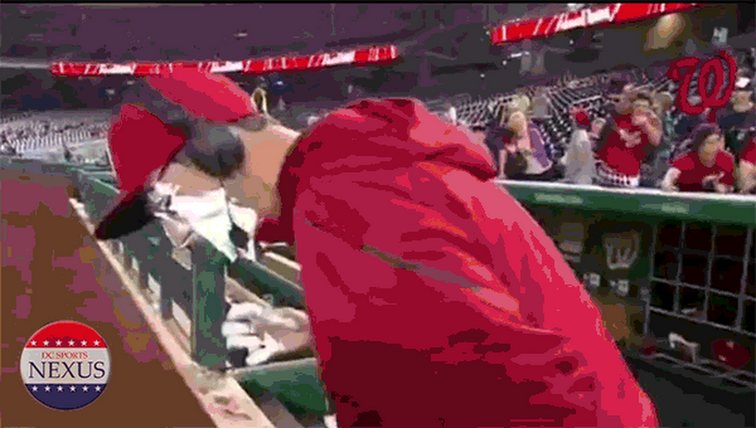 We saw the Ian Desmond shirt this morning. Well Gonzalez was wearing the shirt again sent to Dezzy by a fan. Gio called Ian Desmond his hero when talking to Akra. 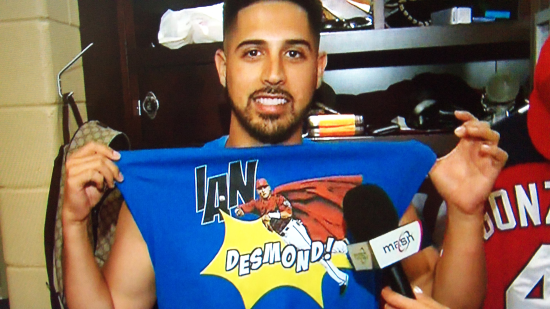 The shirt features Ian Desmond with an old-school batman comic book vibe. Desmond is wearing a cape and making a throw. "Why not wear the shirt, he is a hero to us"